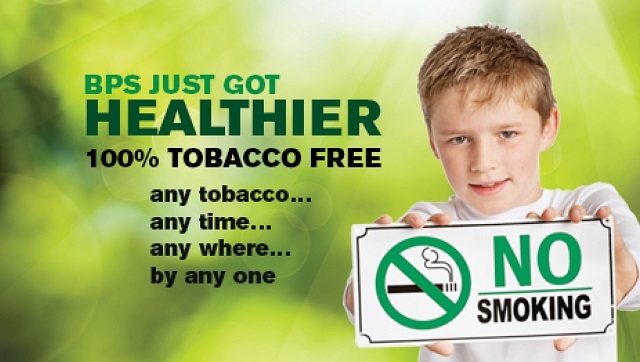 BREVARD COUNTY, FLA. – Brevard County Public Schools has joined the growing number of Florida school districts and employers in creating a healthier environment by eliminating all forms of tobacco on all BPS grounds at all times by everyone. “We are all here for the children. Setting a tobacco free policy and embracing a culture of well-being provides the district with an opportunity to positively influence the lives of our students by creating a healthy environment through positive role-modelling,” said Superintendent Desmond Blackburn. This new policy addresses students, parents, employees, vendors, and visitors on any school ground and property, including schools, district offices, athletic fields, practice fields, playgrounds, parking lots, administrative offices, maintenance, or transportation areas owned, leased, rented or chartered by the school district as well as at any off-campus school or district sponsored event. This policy is a no tobacco or look-alike use by anyone, anytime, anywhere on any BPS grounds, property, or events. “School Board Policy 3215 is very proactive in addressing the use of all tobacco products, not just cigarettes. Any tobacco product or electronic cigarette is included. Nicotine is a very addictive and poisonous drug,” said Lana Saal, BPS employee wellness manager.